Undoubtedly, the Gold Pack Awards programme – established by the Institute of Packaging South Africa (IPSA) 40 years ago – is firmly entrenched as the premier event for South Africa’s packaging fraternity. This year, from a multitude of entries, the judges first identified the finalists and then picked worthy recipients of Gold, Silver and Bronze Medals in the various categories. “Many recipients of awards in this competition are submitting their entries to the WPO’s WorldStar programme. South African packs have garnered numerous WorldStars ever since IPSA became a member of the WPO in 1993 – confirming the country’s world-class status. And that’s what the Gold Pack Awards are all about – promoting and encouraging world-class excellence in packaging design and technology,” commented long-time Gold Pack judge, Gill Loubser, publisher/editor of PACKAGiNG & Print Media magazine. Judges’ comment: Packaging enhances the brand’s proposition of innovation and novelty; the flip-twist-and-flow opening ritual adds an interaction and functionality for the consumer. 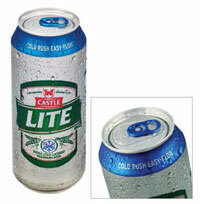 This technology, a first in South Africa, has been used for the first time by SABMiller internationally. 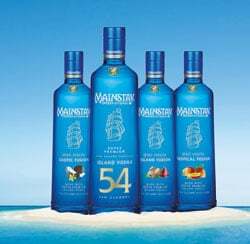 Judges’ comment: The blue colour with its inherent technical variables has been combined with a clean and stylish decoration to provide a modern, upmarket and memorable appeal to the brand. 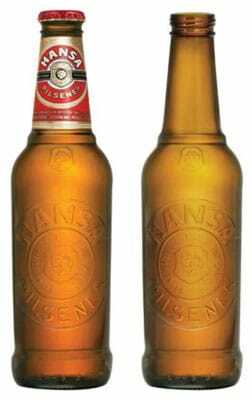 Judges’ comment: The first non-returnable beer bottle in South Africa to carry heavy embossing around its waist, it eliminates the need for labelling on front and back panels. Clever layout incorporates all necessary information on the neck label. The challenges of embossing a large area have been met and well executed. Click here to see the food category winners on www.foodstuffsa.co.za.